Transcend Technology, Inc. introduces the industrial-grade SuperMLC JetFlash 740 USB 3.1 flash drive. 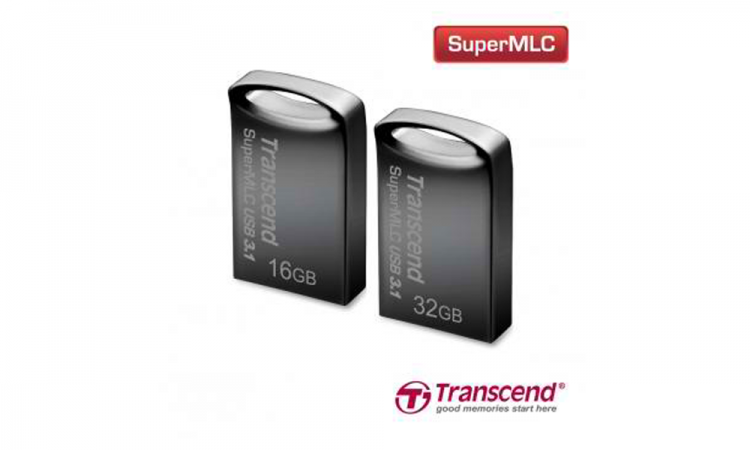 Transcend’s exclusive SuperMLC technology is a cost-effective solution that offers performance close to that of SLC NAND flash. The Transcend JetFlash 740 is compliant with USB 3.1 Gen 1 specifications offering excellent performance and endurance at very appealing prices making it ideal for industrial-grade applications. The Transcend JetFlash 740 draws strengths from both the Single-Level Cell (SLC) and Multi-Level Cell (MLC) NAND flash, Transcend has developed SuperMLC technology by reprogramming the two bits per cell of MLC into one bit per cell, greatly boosting performance. The Transcend JetFlash 740 USB flash drive can reach up to 120MB/s read and 90MB/s write, far superior from flash drives using MLC flash chips. The SuperMLC technology is a great match for industrial applications that demand quality comparable to SLC NAND flash at a cost-effective price. The Transcend JetFlash 740 USB flash drive offers an excellent level of endurance, delivering up to 30,000 P/E cycles which is 1000% more than what MLC NAND flash offers. Using innovative COB (Chip on Board) technology and housed in a high-quality metallic casing, the Transcend JetFlash 740 flash drive offers resistance against dust, vibration and moisture while remaining compact. Such qualities make the JetFlash 740 flash drive ideal for stable and efficient data transfers in harsh industrial environments. Transcend offers a limited two-year warranty on the JetFlash 740. Available in capacities from 4GB to 32GB.